Joe Codiano earned his coaching greatness by playing for some of the best coaches in the country and by paying attention while doing it. At Orrville, Codiano played for William (Chub Coyer, later to become a member of the Wayne County Hall of Fame and the Orrville High School Sports Hall of Fame. At Miami (Ohio), the coach of coaches, he played for both Woody Hayes (later of Ohio State) and Ara Parseghian (later of Notre Dame). A 1948 graduate of Orrville, Codiano lettered four years in football, three years in basketball, and two years in baseball. He was named to all-conference football team in 1945, 1946, and 1947. The captain of his senior year team (1947), he led them to a undefeated season, outscoring their opponents 240-32. At Miami, Codiano lettered three years in football. In his senior year he was voted the most efficient defensive back on the team. After graduating from college, he entered the Army and played football at Fort Eustis, VA. This team had seven All-Americans on it. Later, he was sent to Korea and in 1954 he returned to Miami to start graduate work. Eventually, he obtained his Master’s Degree at Ball State in Indiana. 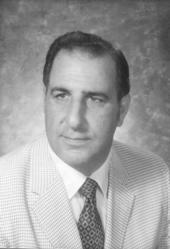 Codiano married in 1955 and moved to Brookville, IN as head football coach at Brookville High School. His first three years were anything but spectacular, as he won 5 games against 18 losses. In 1958, however, his program turned around and has been successful until his retirement in 1980. His 1964 and 1965 non-conference teams were undefeated and had a 21 game winning streak. He coached several conference championships and was selected Coach of the Year seven times. His coaching record ended at 142-80-4. In 1979, the Brookville Booster Blub held a banquet celebrating Codiano’s silver anniversary as the high school coach. Many of his former players and friends showed up, most notably Woody Hayes. In January of 1980, Codiano announced his plans to retire as head coach and that next July; he was inducted into the Indian Football Hall of Fame. He continued teaching until 1988, when he finally retired. The governor of Indiana presented him with a “Sagamore of the Wabash” award. Codiano is a charter member of the Orrville High School Sports Hall of Fame.